1. Gaur DD. Laparoscopic operative retroperitoneoscopy: use of a new device. J Urol 1992; 148:1137-1139. 2. Rassweiler JJ, Henkel TO, Stock C, et al. Retroperitoneal laparoscopic nephrectomy and other procedures in the upper retroperitoneum using a balloon dissection technique. Eur Urol 1994; 25:229-236. 3. Gill IS, Clayman RV, Albala DM, et al. Retroperitoneal and pelvic extraperitoneal laparoscopy: an international perspective. Urology 1998; 52:566-571. 4. Rassweiler JJ, Seemann O, Frede T, et al. Retroperitoneoscopy: experience with 200 cases. J Urol 1998; 160:1265-1269. 5. Gill IS. Retroperitoneal laparoscopic nephrectomy. Urol Clin North Am 1998; 25:343-360. 6. Rassweiler JJ, Stock C, Frede T, et al. Nephrectomy: transperitoneal and retroperitoneal nephrec-tomy in comparison with conventional nephrectomy. Urologe A1996; 35:215-222. 7. Gill IS, Hobart M, Soble JJ, et al. Retroperitoneal laparoscopic radical nephrectomy: comparison with open surgery [abstr.]. J Urol 1999; 161:166. 8. McDougall EM, Clayman RV. Laparoscopic nephrectomy for benign disease: comparison of the transperitoneal and retroperitoneal approach. J Endourol 1996; 10:45-49. 9. Ng CS, Gill IS, Sung GT, Whalley DG, Graham R, Schweizer D. Retroperitoneoscopic surgery is not associated with increased carbon dioxide absorption. J Urol 1999; 162:1268-1272. 10. Sung GT, Gill IS. Anatomic landmarks and time management during retroperitoneoscopic radical nephrectomy. J Endourol 2002; 16:165-169. 11. Hsu TH, Sung GT, Gill IS. Retroperitoneoscopic approach to nephrectomy. J Endourol 1999; 13:713-718. 12. Gill IS, Rassweiler JJ. Retroperitoneoscopic renal surgery: our approach. Urology 1999; 54:734-738. 13. Sung GT, Hsu TH, Gill IS. Retroperitoneoscopic adrenalectomy: lateral approach. J Endourol 2001; 15:505-512. 14. Gill IS, Schweizer D, Hobart MG, Sung GT, Klein EA, Novick AC. Retroperitoneal laparoscopic radical nephrectomy: the Cleveland Clinic experience. J Urol 2000; 163:1665-1670. 15. Desai MM, Strzempkowski B, Matin SF, et al. Prospective randomized comparison of transperitoneal versus retroperitoneal laparoscopic radical nephrectomy. J Urol 2005; 173:38-41. 16. Rubinstein M, Gill IS, Aron M, et al. Prospective randomized comparison of transperitoneal versus retroperitoneal laparoscopic adrenalectomy. J Urol 2005; 174:442-445. 17. Meraney AM, Samee AA, Gill IS. 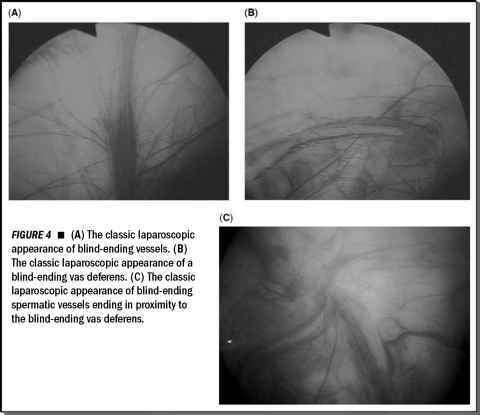 Vascular and bowel complications during retroperitoneal laparoscopic surgery. J Urol 2002; 168:1941-1944. 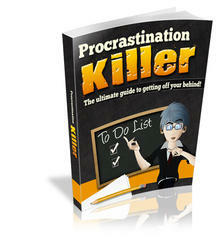 Procrastination in probably the number one cause of failure in life and business. You Can Change Your Life Forever and Discover Success by Overcoming Procrastination. Learn how to defeat procrastination and transform your life into success.